Wow, nice compilation Vandes! You are quite an asset to Excalibur. =) Thank you for your hard work! That word of caution noted, this information is accurate to what every hunt group on Excal knows regardless of affiliation, and you can safely consider it mostly valid. Either you haven't been hunting for a loooonnngggg time or you're not using our server TS since Vandes is pretty active there and very friendly. I grew a pretty sour disposition toward zerg hunting because of how boring the activity itself was and how paranoid it got in there sometimes, so that'd be correct. Mind you, this was the tail end of week one of the patch. So has everyone calmed down about the whole "PBC Spy" business or what? If things have calmed down in that regard it's good to see the community has matured. Last edited by Krr; 08-07-2014 at 12:01 PM. Yeah, the whole server is pretty much working together regarding hunts now. Its really pleasant to go hunting during the week maybe a bit less on saturday/sunday. Same, but NQ Vendor works too. Spawned it with NQ Marmot Steak from vendor once myself and another time on my party members spawned it the same way. The spawn points are the same as the A Rank. It will spawn literally in front of you once the right trigger is activated. Excellent guide, btw! On Ragnarok we managed to force-spawn most of them at this point, except the most mysterious one (still no one know what's up Safat). S Rank having different timers seems the most logical outcome btw, we always manage to spawn Zona Seeker and 1000 Thousand-Cast Theda while Brontes always spawn late. It's quite fun to work together to try to spawn the S ranks. Last edited by Taruranto; 08-07-2014 at 05:09 PM. 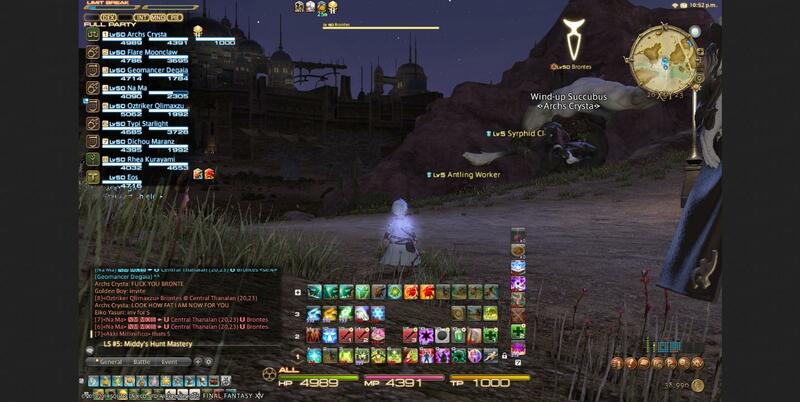 I'm one of the target callers in coordination of the hunts in Excalibur. Please do use this information to good use as you hunt to your respective servers. I can also say that the information listed on this post has been very informative. Excalibur. Best for the Hunts.